When the word “lolo” gets mentioned, we usually think of our dad’s loving (or grouchy) old man whose sole hobby seems to be all about spoiling (or scolding) his grandchildren. Depending on your luck, you’ve probably been at the receiving end of either heaps of presents or long-winded sermons—both of which are unsolicited in nature. But things are quite different in the anime world where lolos, fondly known by the fanbase as old geezers, can overpower the average street punk. We can only assume that there seems to be an unspoken rule shared by animators where the older you are, the stronger you get. He may be a perv but this old fart is the man responsible for teaching Son Goku how to fight. Master Roshi can buff up his body at will and use a variety of attacks including the iconic Kamehameha wave and the Mafuba sealing technique, which he saves for troublesome foes. He might not look like the part, but this geezer holds both titles of 1st Division Captain, as well as the overall Captain-Commander of Soul Society’s entire Gotei 13 squad. Yamamoto’s powers were only revealed much later on in the series, where he shows his fatal mastery of fire against Aizen. Listen up kids, we know this senior citizen isn’t as popular as his contemporaries, but he deserves much more respect than he’s being shown. Not only did he achieve the title of Third Hokage, he also received the elite ninja rank twice! Hiruzen also has some sick ninjutsu skills up his sleeve. If you run across a drunken old man in the Gourmet World or anywhere that’s dangerous in the Toriko universe then it’s probably Knocking Master Jiro. He’s considered as one of the strongest characters in the series and can easily thrash everyone with his overpowered stunning techniques, hence the “Knocking” title. As Killua’s grandpa, Zeno can definitely be considered old. Heck, you can even call him ancient based on his mastery of Nen. But don’t count him out just yet because the patriarch of the infamous Zoldyck family of assassins can still kill you in a heartbeat. The scariest thing about this geezer is his willingness to sacrifice himself just to fulfill the objective of their contract. Edward Newgate’s life as a pirate was nothing short of extraordinary. 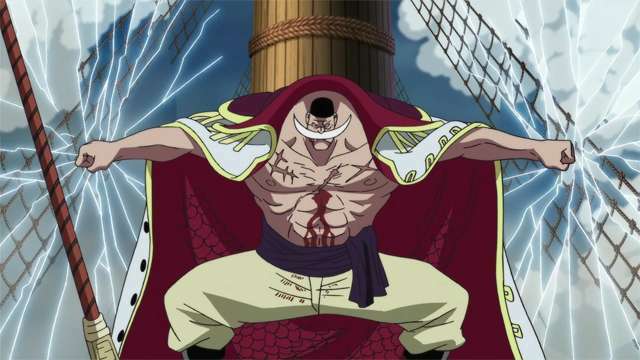 He was widely considered a rival to Pirate King Gol D. Roger, became one of the Four Emperors and was known as the world’s strongest man. However, this was all trumped by his death of epic proportions, where it took 267 sword stabs, 152 bullets and 46 cannon balls to take him down. And the kicker is, Whitebeard never really went down: he literally died standing. Okay, so Genkai is more of a lola who we first thought to be a lolo but we’re tossing her into this list because she’s just that great. She’s the master of the Spirit Wave style who can still pretty much wipe the floor with arrogant brats despite her old age and fragile body. 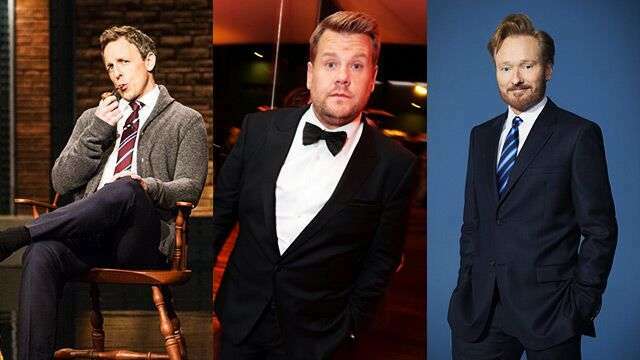 Who Is The Best (And Funniest) Late-Night Talk Show Host?